Automatic display of your own - or your office's - active listings. 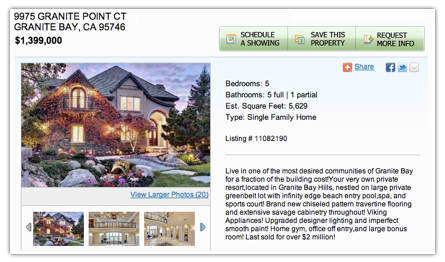 Add Sold & Supplemental Listings to this page, or display them on separate pages. 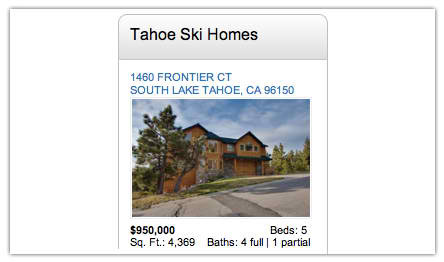 Display listings on any webpage with customizable Featured and Top Picks slideshow widgets. Enhance Optima 950 with listings by configuring your pages to show a galler of Featured Listings or Top Picks in the right sidebar. 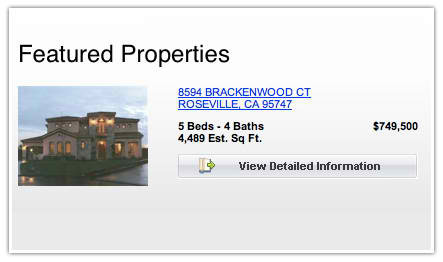 Easily add non-MLS listings to your site, pocket listings, listings that are coming soon, distressed properties or others. Show photos, add a description and more. 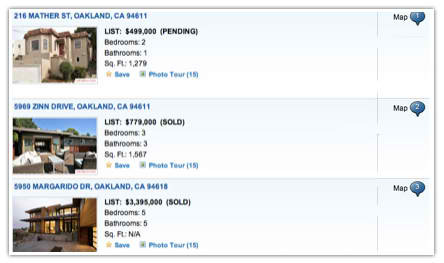 Show your record of success by adding Sold or Pending Listings to your website. 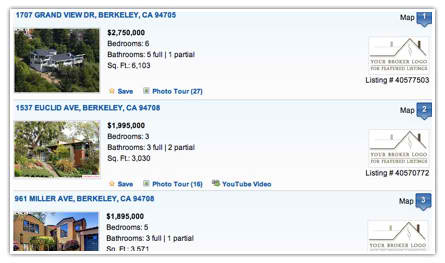 It's simple to select your off-market listings to display - you can even configure what listing information to display. 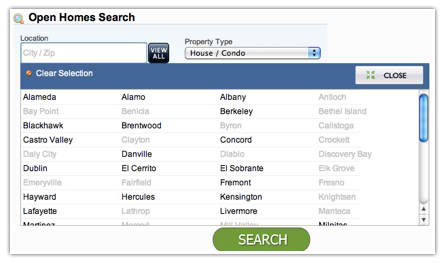 Create a Top Picks page to display Open House information directly from the MLS, or allow your visitors to search for open homes in your area.